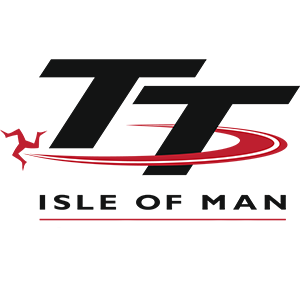 Ben and Tom Birchall took a record breaking Sure F2 Sidecar race win on Monday at the 2017 Isle of Man TT Races with the Mansfield brothers taking their fifth TT victory and setting a new outright lap record of 117.119mph – 19m 19.746s. Practice week was all but a washout with the weather curtailing the action around the 37.73-mile Mountain road circuit and Saturday’s race action was replaced by a day of practice so that the riders could at least get their machines up to speed. 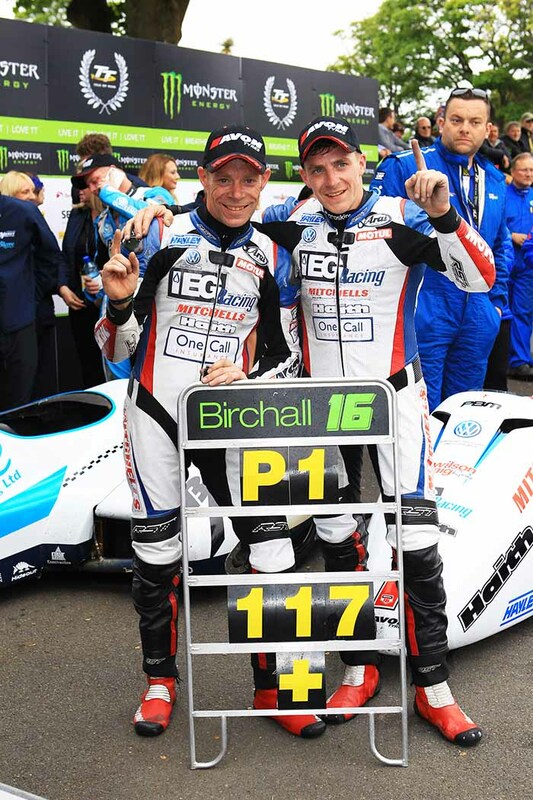 The Birchall Brothers went on to set the fastest lap of practice on Saturday with a 116.675mph and were the first riders to set off on Monday down Glencrutchery Road on their way around the first of three laps of the course. 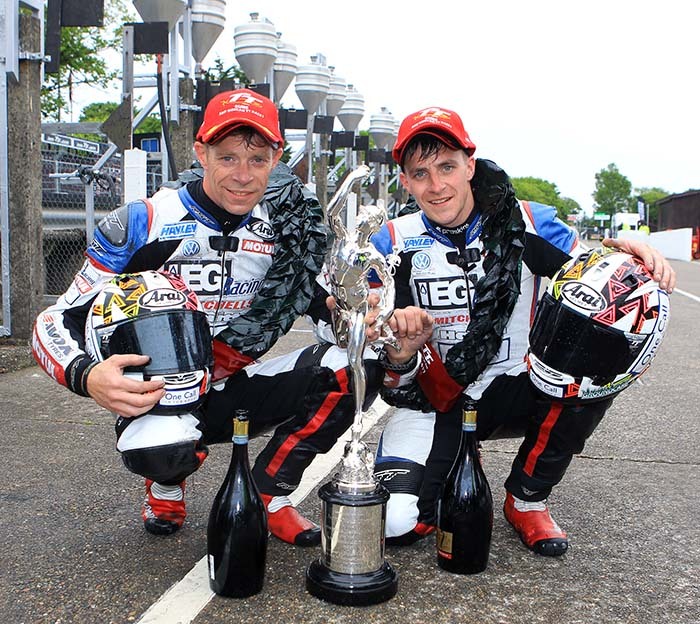 The Mitchells of Mansfield supported riders soon proved their dominance in the race and recorded a first lap of 115.965mph before heading off on an even faster lap where they scorched around the course and shattered the existing lap record set by themselves last year with an amazing 117.119mph lap. On the final lap Ben eased the pace as the weather began to close in and spots of rain were seen over the Mountain mile. 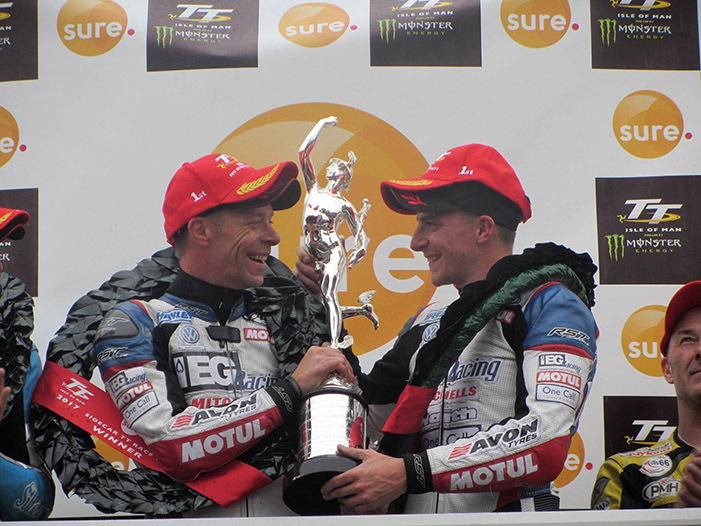 Even so they recorded a time of 115.017mph on the final lap to take the chequered flag for an untroubled victory, their fifth at the TT races, over 25 seconds ahead of second placed riders Holden and Winkle. Ben was amazed when he discovered how fast they had been and said: “I didn’t really go out to try to do that fast a lap it just happened. We always ride as hard as we can and whatever we get is good. I need to thank the guys that do the boards for us; they have done them for a few years now and they were spot on.You really need the boards around here. It just emphasises how much help is given to us around the circuit and it’s really appreciated. 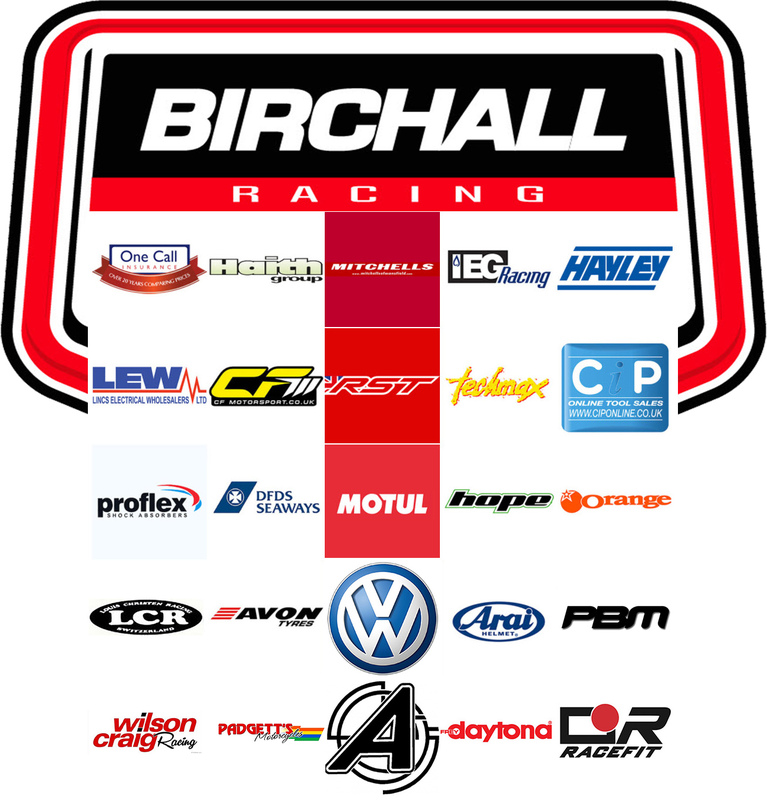 The second race takes place on Friday when the Birchall brothers will be hoping to record another victory around the Isle of Man TT course.